Back when you had boundless energy and few (if any) mobility restrictions, scaling a couple of stairs to your home entryway would have been thought of as no big deal. But it is an entirely different matter when, for any number of reasons — whether it be recovery from a recent surgery, an injury that will take months to heal, or a long-term progressive illness — you have to rely on the help of assistive technology to move about safely from place to place. 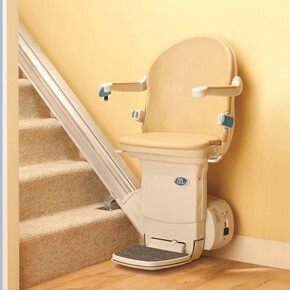 So how can you overcome the challenge of climbing the stairs that lead into your home? 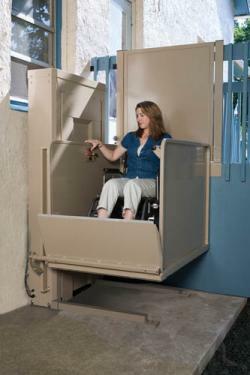 One convenient solution is a residential vertical platform lift. 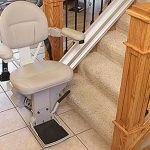 Also called a porch lift, it can conveniently be installed in the home and can literally make accessing your porch, deck, other raised entries or levels a breeze to navigate. How do you know if this option is right for you? You or a loved one need a wheelchair, scooter or other mobility vehicle in order to get around. 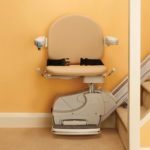 If the physical challenges are such that you require a special device to move about safely both in and out of your home, then a residential vertical platform lift may be perfect for you. You have a raised entryway or deck that makes going inside or out a major difficulty. 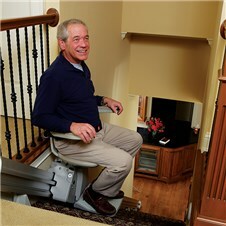 When someone is dependent upon a mobility vehicle, even trying to figure out how to maneuver wheelchairs or scooters up and down stairs is such a hassle, not to mention dangerous – which is why, when no help is available, many limited mobility persons simply opt to stay in their accessibility “unfriendly” homes rather than venture out. 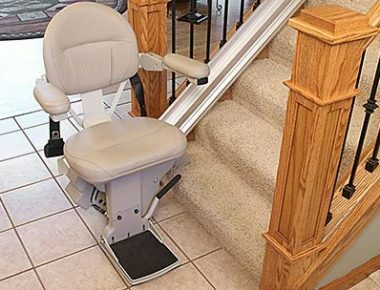 A porch lift can easily dispel the stress of moving from indoors to out and make the transition from place to place so simple – and safe! Your home access is more than 24” off the ground level. Ramps are helpful in slight rises, but they can take up a considerable amount of space if the porch or entry is more than a couple of feet above the walk or driveway. Because a residential vertical platform lift is extremely compact, it requires minimal space while delivering maximum impact. 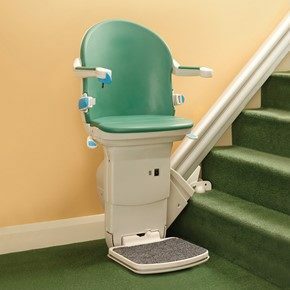 So there is no need to feel that a smooth transition from your cozy home to the great outdoors is out of the question simply because you or a loved one struggle with mobility issues and depend heavily on a wheelchair or scooter for your accessibility needs. A residential vertical platform lift can greatly enhance your enjoyment of all aspects of your home, including the lawn and garden – and make the fear of those dreaded stairs practically obsolete. Call a trusted Certified Aging-in-Place Specialist (CAPS) at Stair Lifts Atlanta at 770.880.3405 for a free in-home consultation to answer all your questions and learn how this accessibility innovation can literally change your life! Or, you may also complete and submit the email contact form to the right, and we will get right back to you. 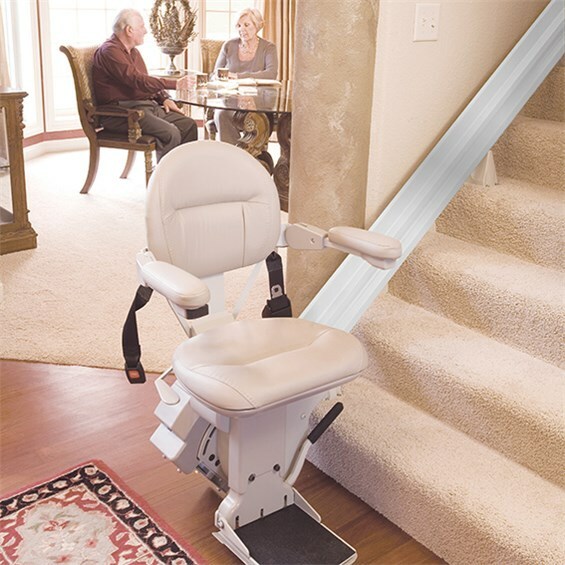 This entry was posted in Atlanta Stair Lifts, Stair Lift Blog, Vertical Platform Lift, Wheelchair Lift and tagged Aging in place, Assistive Technology, Certified State of Georgia Stairlift installer, difficulty climbing stairs, progressive illness, Vertical Platform Lift, Vertical Platform Lift (VPL) for Wheelchair. Bookmark the permalink.